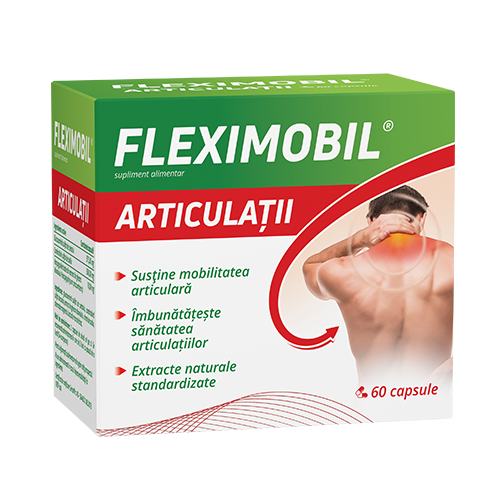 Fleximobil Joints, sachets is a food supplement that supports osteoarticular health in people who use extensively their joints such as people with intense physical activity, overweight persons or elderly persons. 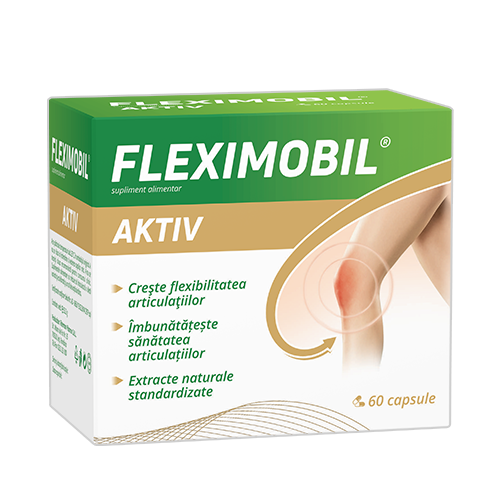 Fleximobil Aktiv, capsules is a food supplement that supports osteoarticular health in people who use extensively their joints such as people with intense physical activity, overweight persons or elderly persons. 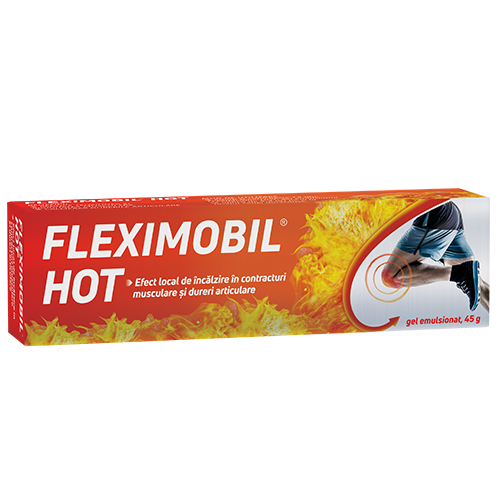 FLEXIMOBIL® HOT, gel emulsionat is a topical product recommended in the alleviation of muscle pain and rigidity, as well as in the symptomatic treatment of rheumatic and traumatic pain. 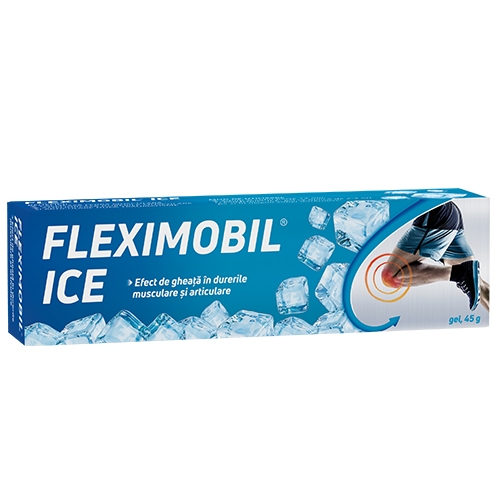 FLEXIMOBIL® ICE, gel is a topical product recommended in the alleviation of muscle and joint pain of rheumatic and traumatic origin. 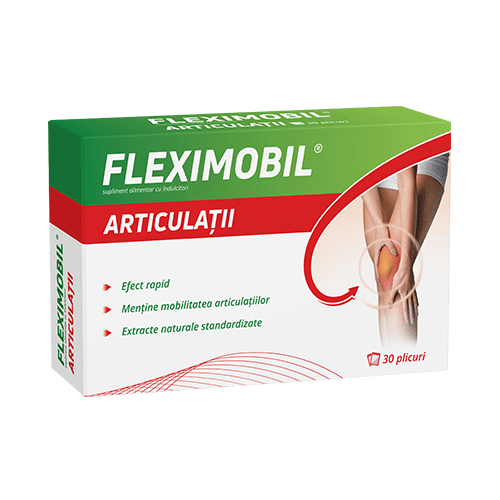 Fleximobil joints, capsules is a food supplement that supports osteoarticular health in people who use extensively their joints such as people with intense physical activity, overweight persons or elderly persons. 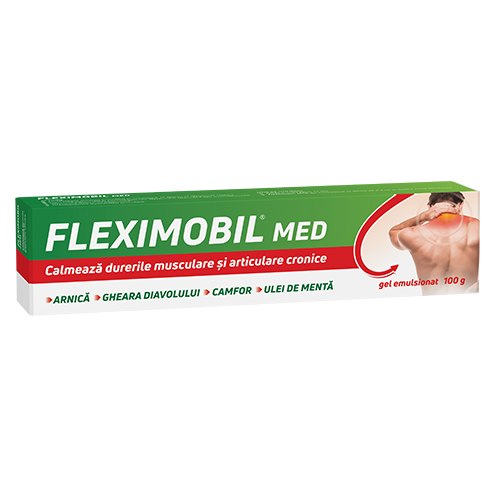 FLEXIMOBIL® MED, emulsified gel is a medical device recommended in the alleviation of chronic musculoskeletal pain associated to rheumatic or traumatic disorders.